One of the keys to content marketing success is differentiation. How can you provide unique value nobody else is offering? For a long time, “content marketing” was seen as a daily 500 word blog post. That’s it. You’d build a massive audience with nothing more than a topical focus and consistent scheduling. As you know, those days are long gone. Over 4 million blog posts have been published in the last 24 hours. Think about that for second. Let the math sink in. If you want to stand out, you can’t rely on a publish-and-pray content strategy. You need to differentiate yourself, and find a more effective way to engage your readers. Today, we’re going to look at a simple, but ultra effective way to break through the noise and grab reader’s attention. It’s called interactive storytelling. And, it will give wings to your content strategy. The concept of storytelling in a business context can be a bit confusing, so let’s take one step back and look at the importance of storytelling itself. Since the beginning of time, people have told stories. Teachers tell stories in their lessons, business men and women tell stories in presentations, artists tell stories through their work, and so on. So why would businesses use storytelling in their marketing efforts? Stories engage the brain through a phenomenon called neural coupling, causing brain waves in the listener to mirror those of the storyteller. Stories help us hook readers emotionally. Engaged emotions help create empathy with the speaker/ writer. Stories light up the brain more than factual reporting or data. When people read factual reports, only two regions of the brain activate. FMRI studies show that storytelling activates additional areas of the brain. The brain reacts to stories as if they are actually happening to the reader. Stories change the brain’s chemistry. When a reader is engaged with an emotional story their brain produces oxytocin (the “trust hormone”), a substance proven to increase trustworthiness and generosity. Hear that? Action. This is very powerful. And, the use cases are endless. So exactly what is interactive storytelling? “Interactive storytelling” is simply storytelling enhanced by digital tools. Because sometimes words aren’t enough to tell a complex or compelling story. The most sophisticated forms of interactive storytelling utilize a blend of psychology, sociology, cognitive science, linguistics, design, computer science, and artificial intelligence. Sounds great, but let’s see some examples of interactive storytelling in aciton to get a better understanding of it’s potential. Interactive storytelling blurs the line between art and marketing. The following examples demonstrate what is possible with interactive storytelling, whether the purpose is to sell a product or simply create something more engaging for your readers. Let’s start with a bang. 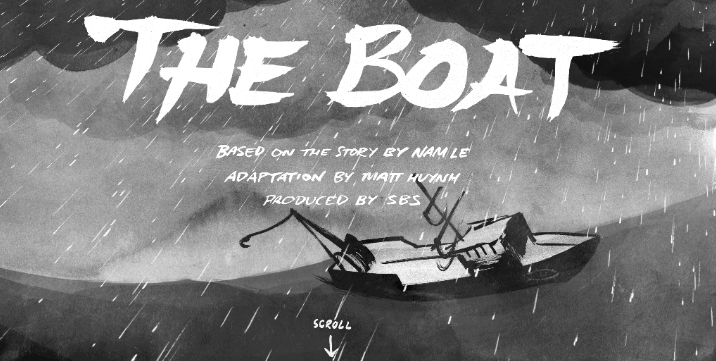 The Boat is a visually haunting scroll-based story experience. As you land on the website, you are hit with the sight of pouring rain while the page finishes loading, setting the mood for what’s to come. As you scroll down the page, the story combines text, audio, visuals and interactive elements to deliver an immersive experience. The boat sways in the water, lighting and thunder cracks overhead, and the wind howles in the background. The interactive component of this story makes it feel like you’re actually on a boat, in a large storm.This level of interaction dramatically increases engagement and keeps visitors on the page longer. Apester is an online software that businesses or individuals can use to create elements of interaction to incorporate into their website content. 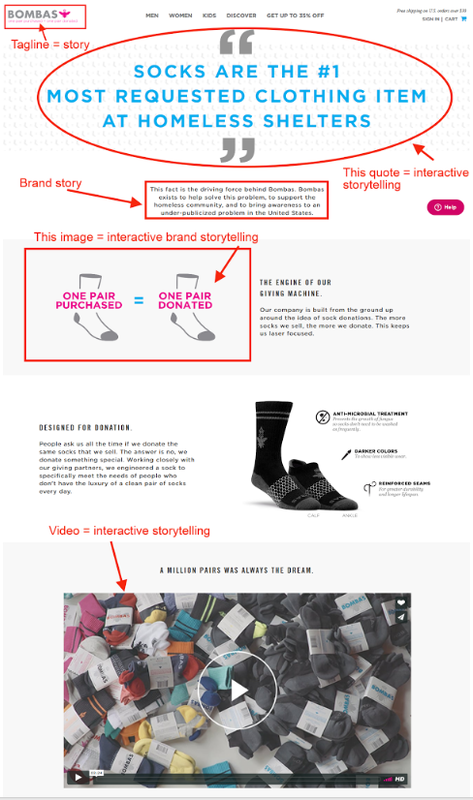 Apester’s website effectively showcases the meaning of branded “interactive storytelling”. As you scroll down the webpage, interactive elements begin to unfold – balls bobble across the page, while tick marks flash as the ball drops onto the “your brand” box. As the ball moves, different background images slide into view, all highlighting the Apester brand. The site’s interactivity supports the headline text “Send your readers on a journey through your site”. The bobbing ball makes you feel as if you’re actually bouncing around the site. The motion of the ball bypasses critical branding pieces, keeping the reader engaged, while ensuring you are subjected to the most pertinent information on the page. 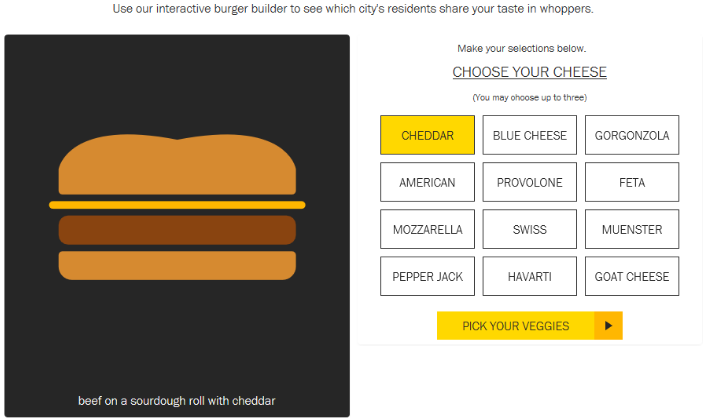 With the burger builder, find out which cities share your taste in burgers, and share your results. Had the website only used text to demonstrate the burger preferences of people in cities across America, it may have been a dull read. But, delivered in a game-winning format made it a more engaging, and a fun way of finding out burger preferences in America. Above all, it tempts (excuse the pun) the viewer to play. 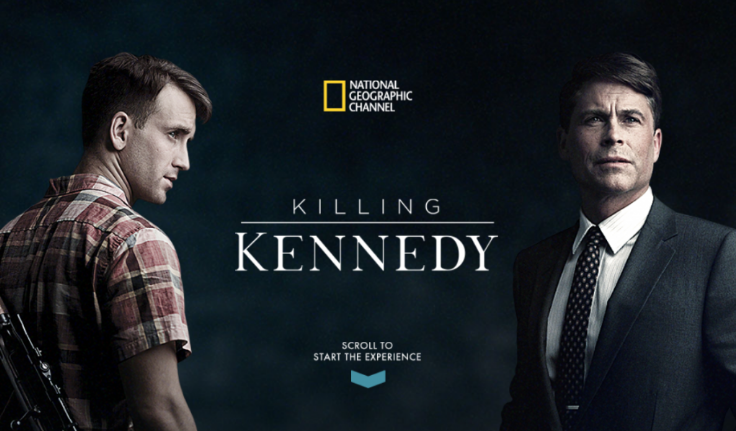 National Geographic released this interactive story on the 50th anniversary of the assassination of JFK. This example uses imagery, audio, and video to create a compelling side-by-side story of the lives of JFK and his killer Lee Harvey Oswald. Not only does the content keep you engaged, it tells a headline story from a largely uncovered angle. Compelling visual cues, creative use of multi media, layered on top of a famous storyline makes this piece extremely memorable. As a result, the animation captured the attention of dozens of large media publications and thousands of engaged readers. Houston is the fourth largest city in the country. It’s home to the nation’s largest refining and petrochemical complex. And it’s a sitting duck for the next big hurricane. 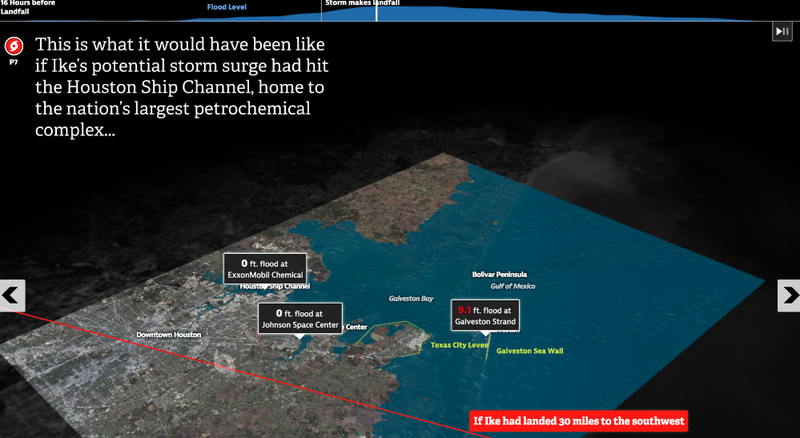 Through the use of interactive maps, compelling data projections, and striking photography, The Texas Tribune shows us what it would have been like if Hurricane Ike’s potential storm surge had hit the Houston ship channel in 2008. The results are enough to make anyone living in the area stop and question their safety. It’s not a matter of if, but when another super hurricane will strike the area. Obviously, creating interactive content like this requires some investment. It’s certainly going to be more expensive than writing a blog post. Why do it? Modern readers are inundated with choices, and have limited attention spans. Our attention spans are getting shorter. Studies have shown that the human attention span has decreased 33% over the last 15 years from 12 to 8 seconds. For context, that’s a shorter attention span than a goldfish! This shift in consumer pychology has forced the hand of marketers. You need to get smarter about how you grab the attention of readers, and keep them engaged for longer. Since content marketing is the backbone of all online marketing efforts, it seems like a logical place to start. 88% of marketers said that interactive content is effective in differentiating their brand from their competitors. 70% of marketers say that interactive content is effective at converting site visitors. Outside of higher engagement levels and stronger connections with your audience, interactive storytelling will help differentiate your brand, better educate your readers, and close out more sales. Up to this point, the majority of marketers have already incorporated interactive assets like images, video and infographics, but at a much simpler level. The key is to add a level of interactivity that nudges all five senses. This is where the real potential to differentiate your brand and maximize conversion rates exists. Aim to touch as many of the human senses as possible. Tell stories that inspire, amuse and entertain readers, and you’ll keep their attention longer. Note: Higher engagement, deeper scroll depth and longer time on site are now signals that Google uses to rank content in the search engines. 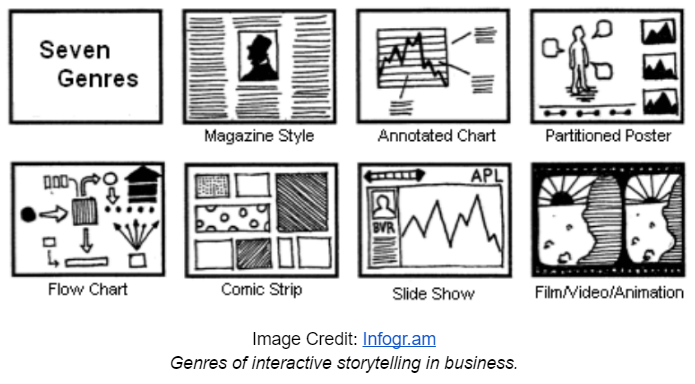 What Types of Digital Stories Are A Good Fit? At this point, we understand what interactive storytelling is, and why it’s important. Now, it’s time to learn how to implement it into your campaigns. As you may have guessed, this isn’t something you can just “phone in” or force onto any old sale pitch. You really need the right type of story in order for this content style to work. There are three different story types that tend to fit the interactive storytelling mold really well. These stories are often emotionally charged and attached to life changing events. If you are passionate about something or someone, this type of story will resonate strongly. Narratives are often based on personal discovery and introspection, when readers get to find out something personal about us. In this case, it’s the story that drives the interactive tools being used are to visually support and stimulate the senses. Bombas tells a powerful brand story: their socks were created to fill a community need – providing socks for the poor. For every pair of socks purchased from Bombas, a homeless person is given a pair of specially designed socks; made to last, keep looking clean and prevent fungi so it doesn’t need to be washed as often as normal socks. This story changes Bombas’ product from a commodity to a meaningful brand, with a meaningful purpose. When you compile a personal or narrative story, give it a beginning, middle and end. The beginning should attract your reader’s attention, the middle explains what happened, and the end tells of how the situation turned out, and confirms the intention of your story. This format is all about education. 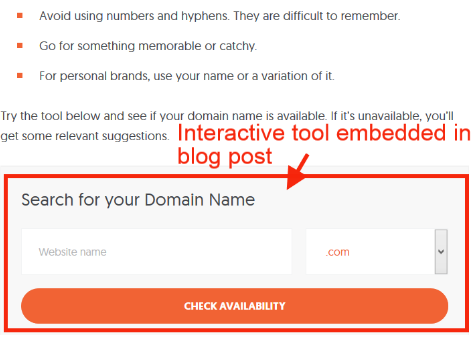 A typical example would be the “how-to” blog post. A typical business example of historical stories would be the history of the brand (if there is a story to be told), which would be demonstrated on an “about” page. 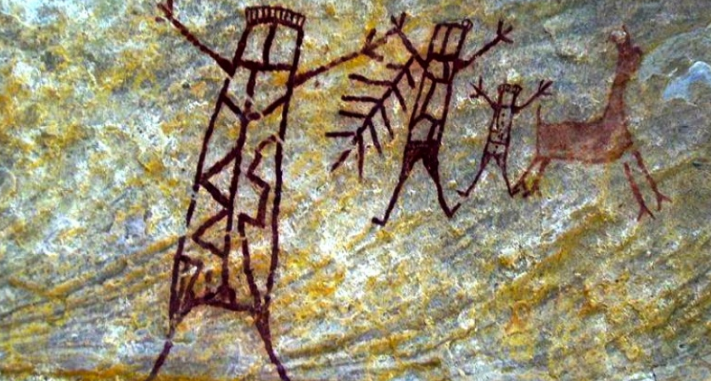 Interactivity can be captured through a number of different mediums. The key is to start with the story, and then find the vehicle that helps you best tell that story. You don’t always need a custom microsite or detailed landing page to tell a powerful interactive story. 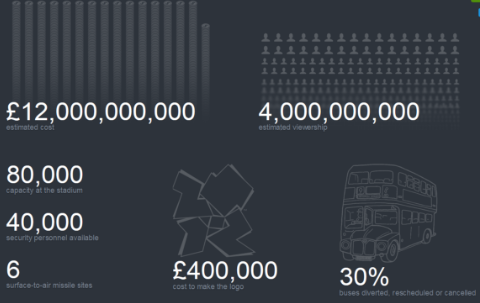 Sometimes an infographic or simple animation is plenty. Conversely, in-depth industry reports with loads of data is often overwhelming when presented as a long form blog post or 50 page static whitepaper. For more complex topics, it can make sense to build a story around the data, and allow readers to interact with it at their own pace. This makes it more approachable, and much more engaging than a dense wall of text and graphs. Interactive storytelling can differentiate your brand and level-up your content marketing. Your marketing budget. Many online tools are free to a point, but you may need to hire others for the designing. More sophistication requires more sophisticated designers (with sophisticated pricing). Know your budget from the beginning, so you can pick the appropriate style of interactive content. Business goals. Marketing goals are grounded in the company’s overall business obective, so the type of content produced should be congruent with your business focus. Your audience. Meaningful interactive storytelling can only be built successfully into your digital strategy when you know the needs and desires of your audience. If you aren’t telling stories they care about, the sophistication of your interactive elements won’t matter. Distribution channels. You will need designs that match the requirements of your content distribution channels. For instance, if you plan to post interactive storytelling on Facebook, you should create content that works with Facebook. I hope this guide has helped you better understand the potential of interactive storytelling for your business.